Falls on-the-job are among the most common type of injury on construction sites in Boston. They are also often quite serious and sometimes deadly. The U.S. Occupational Safety and Health Administration (OSHA), keeps detailed records and statistics of work-related fall injuries. According to OSHA, the top four most common workplace accidents on construction sites includes falls, which account for 40 percent of all deadly construction accidents. Other top injury causes were workers’ being stuck by objects, workers electrocuted, and workers being caught in between objects vehicles or equipment. OSHA has dubbed these the “Fatal Four” in terms of all construction accidents resulting in worker deaths in Boston and across the country. 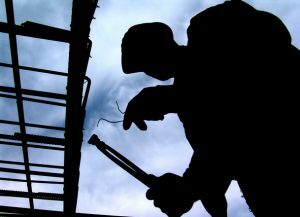 Falls from great heights are more likely than other types of construction accidents to result in death or serious injury. They tend to involve higher medical bills and more time in lost wages. Because the stakes are higher, working with an experienced workers’ compensation lawyer in Boston is imperative. It should be noted while the state statute compensates claimants who suffer a work-related illness, work-related injury cases are far more common in Boston for a variety of reasons. When we do see work-related illness claims, they typically involve a claimant who was exposed to some type of toxic substance. This is the case in occupations where exposure is not expected and an incident just occurs, and also cases where an employee is regularly exposed to toxic substances such as sanitation workers, chemical company workers, nail salon workers who are exposed to toxic chemicals and dust particles, and other similar occupations. Another reasons is things we would typically consider an illness are often considered an accidental injury in Boston workers’ compensation cases. For example, a doctor might consider carpal tunnel syndrome an illness, but in the context of a Boston workers’ compensation case, we would typically consider it a repetitive stress injury or “RSI” caused by one’s occupational conditions. These injuries are typically seen in those who type or otherwise enter data all day, but also in factory workers who perform the same manual tasks day in and day out. In a typical workers’ compensation case were claimant is out of work due to the injury or injury-related medical treatment, we simply take the number of days a workers has missed work. This can be done by looking at the employee’s actually salary or hourly wages prior to the accident, or more typically by looking at the average weekly wage (AWW) in Massachusetts at the time of injury. The lost wages damages are going to be calculated as a percentage of this AWW. The reason lost wages are calculated as being less than actual AWW is because the state legislature wanted a disincentive for people to malinger (exaggerate an injury) instead of returning to work as soon as possible. While we know workers do not malinger and want to return to work as soon as they are able and start earning more money, this myth of mass malingering was able to aid employers across the nation to having benefits calculated as a percentage of AWW. In cases of fatal Boston workplace accidents, lost wages will likely be the largest component of workers’ compensation benefits, because a these death benefits will support dependent family members for what would have been the rest of deceased employee’s working life. However, one thing to keep in mind is for death benefits lost wages, it must be established beneficiaries were dependent on decedent’s earning during decedent’s lifetime. This means we are basically talking about a spouse who cannot support the family on his or her income alone, minor children still living at home, and adult children with special needs. If the children are no longer minors, they will no longer be considered dependents in most cases. According to a recent news article from WBZ 4 News Boston, two construction workers were on the job in Boston when they fell around 20 feet. They were on scaffolding on the third floor of the building when the scaffolding collapsed causing them to fall about two stories. They did not however, fall to the ground level as they were still trapped in the building about 10 feet off the ground. This meant firefighters had a difficult task of using ladders to scale the wreckage and stabilize the two injured workers before they could be brought down and rushed to treatment and local Boston hospitals. Firefighters had to secure injured workers in a rescue basket and carefully lower them to safety. This is something they had done in practice many times, but things are very different in a real world emergency following a Boston workplace accident. As with any serious construction accident, OSHA was called in along with police and local inspectors to conduct a full investigation and see what went wrong. While fault is not required in a Boston workers’ compensation action, if an employer was negligent could be fined by OSHA and a stop work order could be issued. It should be noted there is no evidence of negligence in this case as of this time as an investigation is just underway.